A fun football initiative has been delivered at the Primary Schools Learning Resource Centres in Pembrokeshire as part of a partnership programme between Sport Pembrokeshire and the Swansea City Community Foundation. 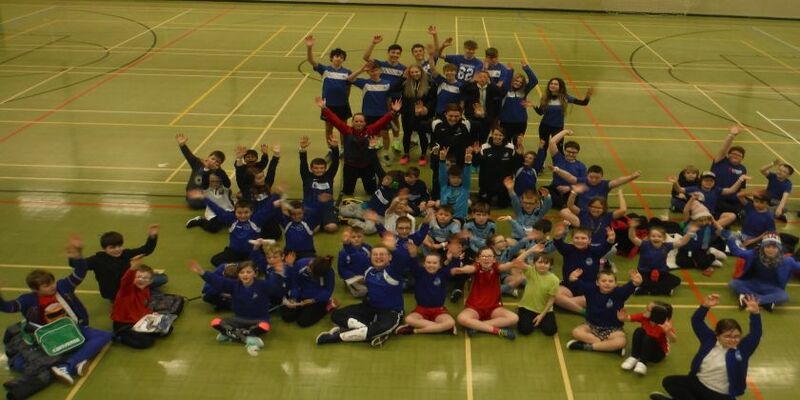 Community coach Sarah Owens delivered four sessions of fun football at the schools which culminated in a festival at Tenby Leisure Centre. Over 80 pupils attended the festival and each child was presented with a certificate and a Swansea City watch. One pupil from each school was also presented with a Swansea City shirt in recognition of their ‘Fair Play’ throughout the sessions. Young Leaders from Greenhill School in Tenby assisted on the day and took delivery of the football stations and refereed the competitive games.